This year BioControl will again be attending the EuroTier 2014. We will be available in Hall 27 stand B24. Contact us if you want to arrange a private meeting with us during the EuroTier exhibition. We will be glad to meet with you to discuss your needs, our products, and possible future cooperation. Send an email to info(at)biocontrol.no to arrange a meeting. We will also be offering VaDia workshops, about interpretation of Milking Time Test results at 14.00 each day. To learn more about our VaDia, click here. VaDia kits and accessories will also be available for purchase at the stand (limited amount). 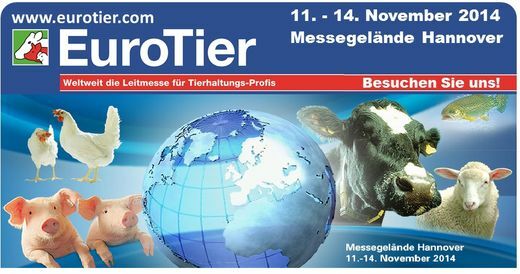 Contact us for pre-orders to be delivered during the EuroTier. You can also send an email to info(at)biocontrol.no to sign up for a VaDia workshop to reserve your spot. On our stand we will have our CRFI system available for demonstration. These are systems for controlling and recording feed intake, designed for research centers and demanding dairy and beef farms. Click here to learn more about our CRFI systems. We will also have our hand-held readers at the stand, along with videos and information about all our products.